I shot a 3 show recital last weekend and need to distribute these images to the parents. I would normally use dropbox and create a gallery and just send that link out but dropbox is changing up it's gallery method. I'd like to have a password protected gallery so only no public access. I'd like for it to be browse able like a gallery with a download option. Any other recommendations for this? I use PhotoShelter but I pay $10/m; have a custom domain name, as many public galleries as I want plus also private password protected ones. Click on my name in the signature. 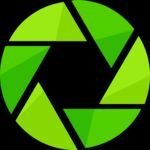 I use Zenfolio and have been happy with it. It would do exactly what you want but there is a subscription fee. That is a lot of photos! I use DropBox to share photos by sending a link to the folder to those I want to share with. The URL for a folder is so complicated I don't think it is possible to guess it. I don't know how anyone could get to any DropBox folder without being provided a link. That seems just as good as a password to me. You could use a URL shortener to make the URL that you send out more compact if you like. TinyURL, Bitley and the Google URL shortener are a few that I have used. I recently shot a middle school graduation ceremony and after-party at my kids' school. I uploaded the pics to Flickr as private photos in a shared album, then passed on the link to the families (after shortening it to a memorable customized URL via tinyURL). The only downside was that I had to make my account pics downloadable by anyone but since I have very few public pics on Flickr anyway, it didn't matter much. Thanks for the input all. I think I'll try the flicker option. I've been holding out on Flickr for awhile now but time to move forward. I really like that TinyUrl option.... never knew of that. Glad I asked the question here. Also... ya it's alot of photos but you tend to try to snap at least one per kid per dance. I could say that you really got about 50 GOOD keepers. Just how it usually works out. You have to add photos through the camera roll. Then add to album. but you set the status of those photos through the camera roll. BUT when you are in camera roll it's not being sorted right by time taken. I'm trying to upload by show, there was 3 shows. I uploaded show 1 added to album then trying to upload two but everything is all mixed. I cannot find a way to sort by date taken. I hate learning new crap. why oh why cannot this be easy. Post edited over 1 year ago by bpalermini. Just go back to DropBox. Your pictures will be easy to access and just as secure. Only those with the link you send them will have access and they don't need to load any software or sign up with DropBox. Post edited over 1 year ago by DreDaze. All photos are from same date but when they are in the camera roll it's all not organized there for me to place into albums. if it's all random i wonder if it's "magic view" instead of "view by upload date"
I never upload thru camera roll. Im not sure you mean by you MUST use it.